Panposhi, in the east-Indian state of Odisha, is a small village comprised of around 120 families primarily depending on agriculture as their sole source of livelihood. 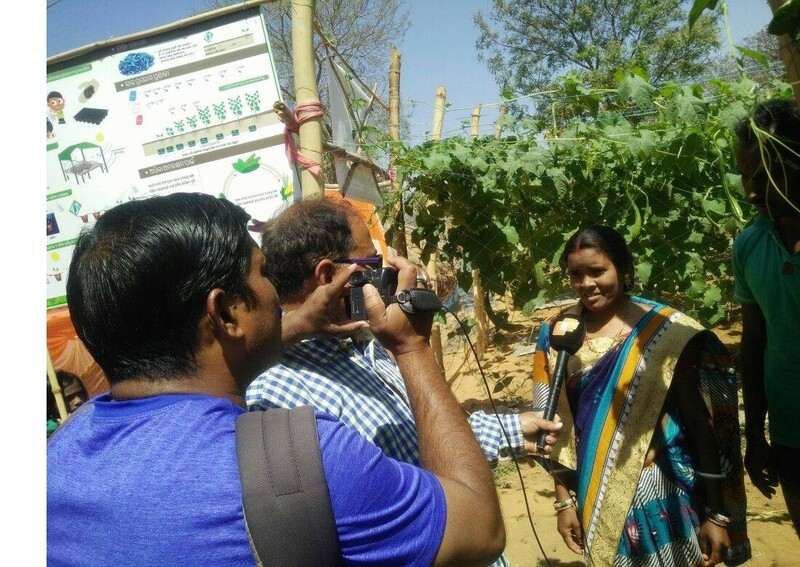 On a two acre plot in the village lives a young husband and wife farming team, Nirankar and Binapani Mohanta (30 and 25 years old), who have six years’ farming experience. In recent years, vegetable farming productivity in their community began to decline due to the cultivation of a degenerated variety, poor nutrient management and increasing pest incidence. More and more, the Mohantas were unable to get the desired level of yield and profit on the 330 square metre area they dedicated to growing vegetables - causing strain on their ability to support their two children. Even when they were supplied with plastic mulch and pesticides, they found the results were still lacking as they were unsure of how to install the mulch or use the pesticides. Despite the challenges, the Mohantas did not give up and preserved to find the knowledge that could improve their productivity. In November 2017, Nirankar learned of East-West Seed Knowledge Transfer’s (EWS-KT) training activities taking place near his village. He attended the training and following a discussion about his experiences and hopes for the future with the local EWS-KT team, EWS-KT’s Bhagyadhar Swain visited the Mohanta’s farm. Mr Swain quickly identified the problems on the vegetable farm and provided solutions, such as raised beds, proper planting distances, healthy seedling production and pruning to name a few. Of their own interest, the couple then decided grow ridge gourd and intercrop this with coriander based on the knowledge of good farming practices provided by the EWS-KT team. Within four months of adopting these crop management approaches, the Mohantas realized a a rapid change in the economic viability of their vegetable farm and are expanding the size of land they dedicate to vegetables. Since then, the Mohantas have become highly recognized in their village. The surrounding farmers are visiting their plot on curiosity to learn as they see the quality and quantity of vegetables produced. The excitement around their inspirational journey even reached the media and in March 2018, two news teams visited the couple to interview them. The couple feel more secure about their farm now and are happy to share what they have learned with others in their community.